Why Use Only WDWorld Travel? 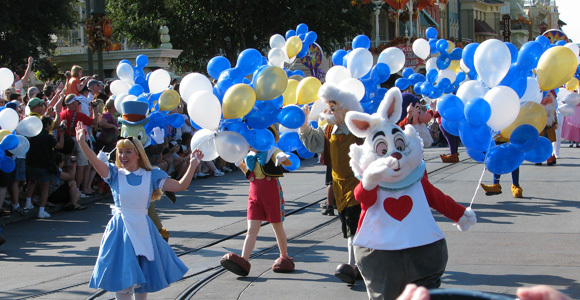 There are many different ways to book your Walt Disney World Vacation. At Only WDWorld Travel, we not only process the transaction, but we do much more at no additional charge. Vacation Planning Assistance - Talk through your vacation plans with someone that has visited the Walt Disney World Resort dozens of times, not just took an on-line course about it. Whether you require a lot of help or a little, we can help you plan that magical Disney Vacation. Discount Finder - We strive to find you the best deal for your vacation. If a better deal for your vacation comes along after you book, we will work to get the additional discount applied. Itinerary Planning Service - Only WDWorld Travel can provide a complementary Itinerary for each day during your vacation. Disney Dining Recommendations and Reservations - There are so many choices when it comes to dining at Disney World it can be a little overwhelming. We can provide recommendations that will fit your vacationing style and budget. Since we have personally dined at most of the Disney World Restaurants, we are able to answer any questions you may have. As an added service we will even make your dining reservations for you if you wish. A Walt Disney World Resort Vacation is an experience that should be enjoyed by the whole family. Our first hand experience with over 40 trips to the Disney World and reporting for the Only WDWorld Blog gives us a wealth of knowledge to help you plan a vacation meets your specific needs, and fits your budget. Don't settle for a travel agent that is reading a script about Disney World, choose one that has a passion for Disney World and first hand experience at the Resorts, Restaurants, Theme Parks, and Special Events.